Lithtex is FSC Certified. The Forest Stewardship Council is an organization that develops standards for forest certification and certified product tracking. It is a highly-respected worldwide organization developed independent of governments. For more information visit their website at: http://www.fsc.org. Lithtex is certified to be part of the Chain of Custody that can supply these products to you. Not only that, but all of our main paper suppliers have been certified as well. Talk to us about how your next project can take advantage of FSC certified paper. Your project may also be able to include the FSC logo to let your end users know the importance you place on environmental responsibility. Our employee initiated In-House recycling program has recently been expanded. Every aspect of our operation is being analyzed by each of our employees to find ways to reduce, re-use and recycle in every department. Although we’ve always had a recycling program in place, we’ve set a goal for ourselves to rethink how we do things, so less waste is created in the first place, alongside our recycling program. 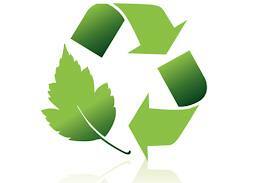 Our goal is to recycle everything that is possible and get our waste down to the smallest percentage that is possible. We’re continually working to find new ways to affect the environmental footprint we are leaving on the planet. We use fully sustainable and recyclable packaging materials. When possible, we re-use packaging materials and all of the materials used are fully recyclable. 20% average soy content on all of our standard process and PMS mixing inks. Soy ink is more environmentally-friendly to produce and is also a helpful component in paper recycling. We use the minimum amount of paper for a given job. We utilize custom-sized stock as available to reduce waste. We use alcohol-free fountain solutions (low VOC).